I have written before about the American Chemistry Council, and how hard it works to defend the ongoing production of all plastics, regardless of the environmental and health consequences. The individuals working for the Council seem to live in a dissociated world where it is OK to expose babies and young children to the damaging effects of endocrine disruptors found in many household plastics. It’s OK to add millions of tons of plastic pollution to our land, waterways and oceans. Do these people really believe all this is OK? Or do they just hide behind the “It’s just business” defence? But they have been hard at work again. 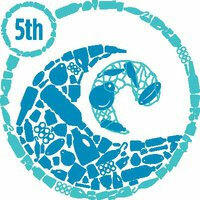 This time, they were a sponsor of the 5th International Marine Debris Conference. Why did they do that? To keep the word “plastics” out of the agenda. Here are some excerpts from a recent piece published by the Plastic Pollution Coalition, which had some people attending the conference. During five days of conference sessions, we noticed with growing concern the notable omission of the word “plastic” and “plastic pollution” from all conference materials. More than half of the sessions were dedicated to topics directly related to plastic pollution – yet the words were absent from the official vocabulary of any organizer, any sponsor. On numerous occasions we brought up this issue, and our comments were met with support and approval from many of the attendees. Yet despite all positive comments we received from the attendees, the final wrap-up of the conference did not include one single reference to the word plastic, or plastic pollution. Not surprising to find out that the wrap-up was organized and presented by a consultant paid by the American Chemistry Council! So there you have it. Once again the American Chemistry Council is hard at work, protecting their chemical industry clients, and lying to the rest of us. Lying? Sure...lying by omission...the omission of the word “plastic”. Imagine working for the American Chemistry Council, or being that consultant. What a miserable, soulless existence...making a living by obscuring the truth and deliberately putting the health of our children and the environment at risk.